An energy trade publication, RTO Insider, had argued the New England Power Pool, or NEPOOL, is violating the Federal Power Act with its closed-door meeting policy. An effort to force the region's powerful energy stakeholder group to hold public meetings has been shot down by federal regulators. NEPOOL is the decades-old stakeholder advisory board to the nonprofit regional grid operator, ISO-New England. They asked for the trade publication’s complaint to be dismissed – arguing private meetings enable more candid discussion of electric market reforms and proposals. 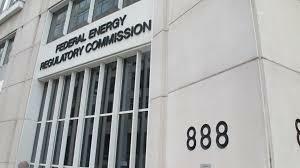 On Wednesday, the Federal Energy Regulatory Commission, or FERC, sided with NEPOOL – saying they can’t control the group’s public meetings policy, because it doesn’t directly affect the votes that NEPOOL members take on electric rate proposals for FERC’s review. Still, New Hampshire’s residential utility ratepayer advocate, Don Kreis – a former journalist who sided with RTO Insider in the FERC complaint – says media coverage of the meetings would help inform the votes of NEPOOL members like him. “It’s an issue of how vigilant is the FERC really going to be in overseeing what really matters about our regional electricity grid and how expensive it is,” Kreis says. Any change in law to give FERC more control over NEPOOL’s media policy would likely require an act of Congress. In a separate recent opinion, FERC did say an RTO Insider journalist – Michael Kuser, who has standing as a ratepayer in Vermont – could pay to join NEPOOL. But under the group’s existing gag rule, Kuser still couldn’t publicly report on meetings. In a statement, RTO Insider editor Rich Heidorn Jr. calls that policy “draconian” but says his publication will still take steps to get Kuser into NEPOOL meetings. “We are evaluating the ruling and have not yet decided whether to seek rehearing and ultimately a court appeal,” Heidorn says.